Business Name: Audi Galway Launched in September 2012 and part of The Connolly Motor Group Audi Galway unveiled a new era for motoring in the Galway region when it opened its doors to a new pristine showroom in September 2012. Audi Galway, having one of the largest indoor showrooms, over three levels, in the country and operating as both Sales and Aftersales centres for the region. 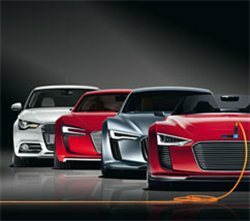 Best For: Audi new and used, Audi service and repairs.